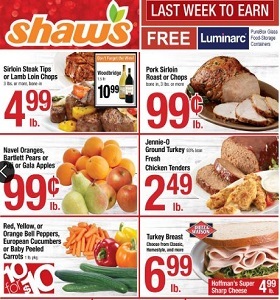 Shaw's Weekly Circular December 7 - December 13, 2018. Lamb Loin Chops on Sale! Shaw’s Weekly Circular December 7 – December 13, 2018. Lamb Loin Chops on Sale! -$9.99 Merry and Bright Bouquet; $7.99/lb Stuffed Sole Portions.